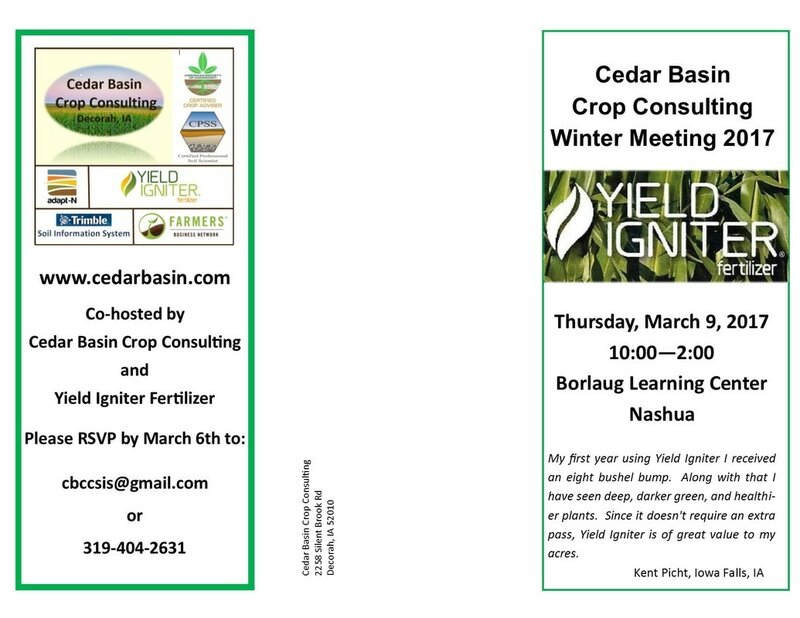 What's New at Cedar Basin Crop Consulting? A quick guide to our most recently updated pages. We hope the slideshow will inspire you to plant, plant, plant milkweed! The west side of the streambed was equally thick with milkweed-- both swamp and common. Newly emerged monarchs were released at the Williams' pond. We're hoping the CIG will help all of us gain a better understanding of how we can use farmland to increase pollinator habitat, and what's growing around us that absolutely must be protected. We're hearing from clients that they're putting in habitat along their fields, and one of Cedar Basin's clients was willing to go out of his way to avoid spraying near this gorgeous stretch of milkweed we found on his property. Robin attended the 2016 Quad Cities Pollinator Conference last month. One of the tours took participants to the Kerry Meyer and Spin and Mindy Williams Farms in Stockton, where pollinator and game bird habitat are priorities. Meyer said he'd seen three pheasant clutches on the trail through his quail CSP field that morning. The Williams' farm is rich with habitat restored on former fields, where they also keep honeybee hives. And finally, we're pleased to announce that Shannon has been invited, and accepted the invitation, to serve a 3-year term on the U.S. National Committee for Soil Science (USNC/SS). The USNC/SS represents the interests of the U.S. soil science community in the International Union of Soil Sciences (IUSS). Its function is to provide advice to the National Academy of Sciences, and input to the union and its activities on behalf of U.S. soil scientists. Responsibilities of the committee include supporting the IUSS and its Council, arranging for scientific meetings in the United States in consonance with the objectives of the IUSS, and directing attention to soil science research that requires international cooperation. U.S. membership in IUSS takes place through the National Academy of Sciences, which is the U.S. adhering body for ICSU and most of its disciplinary member unions. This committee operates under the auspices of the Board on International Scientific Organizations of the Policy and Global Affairs Division. NutrientStar will inventory and assess all nutrient management tools on the market and share results publicly. Please pass this information on to anyone you know who is an aspiring farmer or military veteran interested in getting into farming! They can find out more at iowafinanceauthority.gov. It's been a while since we made any significant updates to cedarbasin.com. There's been some tweeking here and there, with some new information added. It never hurts to browse around--you might find something new, or just something that you didn't see in earlier browsing. Generally, though, if we've added significant new stuff, you'll see it announced here. We've added the brochure for our winter meeting to Upcoming Events, which is now accessed from the About Us page. The meeting, scheduled for the Borlaug Center in Nashua on Thursday, March 3rd, will include discussions on what we're learning from the Trimble Soil Information System, a presentation on the benefits of planting prairie and farming with beneficial insects, a talk about ISU's STRIPS (Science-based Trials of Rowcrops Integrated with Prairie Strips), and an update from Farmers Business Network. We'll also be asking all attendees to participate in a roundtable discussion on alternative crops for Iowa. Given the price of corn and soybeans, as well as changing weather patterns, looking at alternative crops that might turn your losses into profits seems a very timely thing to do. We'll provide some info on some of the crops being tried here in Iowa and other parts of the Midwest, and we're looking forward to a lively discussion about the possibilities for and obstacles to the changes they could bring. Since the projects complement each other so well, the information on ISU's STRIPS (Science-based Trials of Rowcrops Integrated with Prairie Strips) program has been moved from Pollinators and Prairies to the CIG page. The NRCS video, The Science of Soil: Going Deeper, Part 2, has been added to the Soil Health home page. A link to the U.S. Fish & Wildlife Service Conservation Training Center's webinar series on monarch butterflies has been added to the subpage, Cedar Basin Monarch Habitat Campaign. The series covers everything from why we're so enamored with monarchs, to who and what's working to bring them back, to methods you can implement on your property for ensuring their survival. The Xerces Society's Milkweeds: A Conservation Practitioner's Guide, has also been inserted on the page. The Minneapolis Star Tribune recently did a disturbing series on the rise of farm deaths in the Midwest. This series inspired us to develop a Farm Safety subpage in Ma Joad (also now located under "more..." in the menu). We intend to keep this page up-to-date with new findings and reminders aimed at refreshing all of our clients' and visitors' commitment to keeping themselves and their families safe in what's recognized as one of America's most dangerous workplaces, the family farm. We hope you'll take a look at the page. A new, especially good NRCS video on the connection between soils and atmosphere has been added to both the Soil and Climate subpage of Soil Health, and to the International Year of Soils 2015 subpage. Yes, we have a new look, but it's not too different from the old one. We moved the menu from the side to the top, and we widened the content area, but aside from a few minor color changes, that's all we've done. We felt that the content being larger would make the site more comfortable to read. If you have any comments or suggestions, please go to the Contact Us page and let us know. We hope you'll find this version more user friendly! A guide to buffers, Conservation Buffers: Design Guidelines for Buffers, Corridors and Greenways, has been added to the Soil Health Information home page. An article published in TakePart explains why releasing captive-bred monarchs isn't always as helpful as people think. There's a link to the article on the subpage Cedar Basin Monarch Habitat Campaign in Pollinators and Prairies. An NRCS Technical Note on cover crop management has been added to the Soil Health Information subpage, Cover Crops and Biodiversity. The Cedar Basin Monarch Butterfly Campaign subpage has been moved from Ma Joad to Pollinators and Prairies, and has been updated with some Nebraska Pheasants Forever videos about milkweed and monarchs. A beautiful Moving Art video about pollination has been added to the Pollinators and Prairies home page, as well as one about the importance of pollinators in creating habitat for pheasants and quail. A video produced by UNI's Tallgrass Prairie Center on the future of the tallgrass prairie has been added to the Conservation Innovation Grant page. The CIG includes an important pollinator component. We've added a number of new things to the Pollinators and Prairies homepage. You'll find trainings provided by the NRCS, as well as some documents to widen your understanding of the role of pollinators in agricultural systems and resources that might be available to you. Since our new Conservation Innovation Grant has a pollinator component, and since we're so enthused about the prairie we planted in 2014 and doubled this year, we've moved Pollinators and Prairies from Ma Joad back to a page of its own. A YouTube video on tapping into the reservoir of water and nutrients below the plow pan in your fields has been added to the Soil Health Information home page. 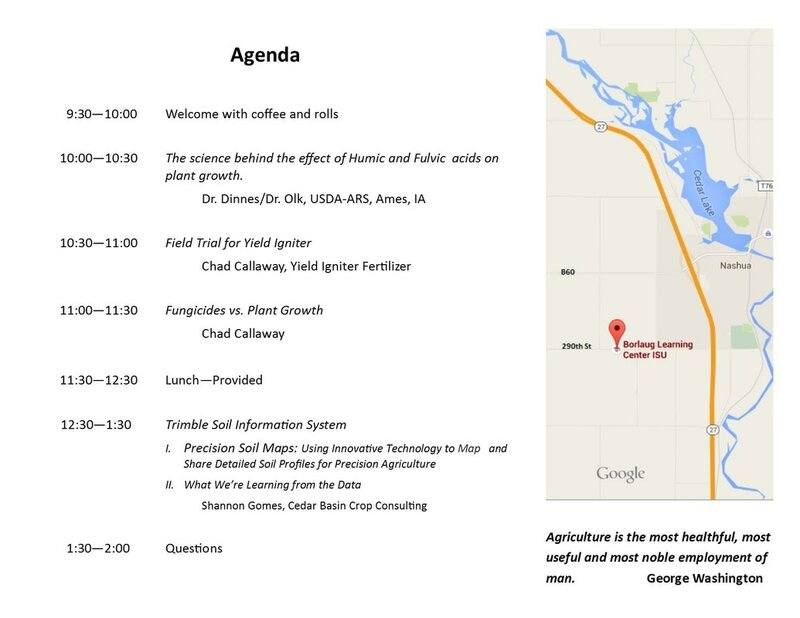 The invitation and agenda for our joint meeting with Frank Moore on 20 August at the Borlaug Learning Center has been added to the Upcoming Events page. We've added a subpage to Ag Links that we think you might find useful--and fun. The page introduces you to Iowa State University's People in Ecosystems Watershed Integration, or PEWI. PEWI "is an open-source project that can be utilized in classrooms and by land-managers or resource professionals to explore how different land cover types and configurations result in trade-offs in ecosystem services." You can also start to get a sense of how you might benefit financially from incorporating other land uses into your operation--particularly given the current corn prices. Give it a try; you might find it an enjoyable source of food for thought! A new USDANRCS YouTube video explaining the carbon cycle in soils has been added to Soil Health Information. The NRCS has put a number of podcasts about soil health on their website that you can load onto your device so you can listen to them while driving or out in the fields. We've added the link to the podcasts to the main Soil Health Information page. A link to the Iowa Agricultural Development division of the Iowa Finance Authority has been added to Beginning Farmers in Ma Joad. They have resources for folks who aspire to be farmers, and you'll find a schedule of their upcoming beginning farmer workshops on the page, as well. A whole lot of new information has been added to cedarbasin.com. The buttons will take you directly to what interests you. An exceptional, thought-provoking two-part video series from Illinois, At Issue: Nitrates, has been added to the Gulf of Mexico Hypoxic Zone page. The first episode addresses the problem, the second the solutions. These videos are definitely worth watching. A Pollinators and Prairies page has been added to Ma Joad. It's full of articles about prairie restoration and pollinator protection, particularly what farmers can do for both. There are subpages for helpful links and publications. We at Cedar Basin are really enjoying the evolution of our new prairie, which Shannon planted last year, and which we doubled this year. While it'll be a year or two before more of the native plants mature and replace the clovers, it's just amazing how many pollinators we're already seeing. SARE's 2013-2014 Cover Crops Survey Report has been added in its entirety to the Cover Crops and Biodiversity subpage of the Soil Health Primer in Soil Health Information. The survey documents yield boosts and soil benefits resulting from cover crops. An Ohio State University Extension fact sheet on using cover crops to convert to no-till and a link to 68(!) popular YouTube videos on no-till and cover crops have been added to the Rethinking Tillage subpage of the Soil Health Primer in Soil Health Information. An interesting article about how a couple of big issues in Iowa--the City of Des Moines' lawsuit against three NE Iowa counties over nitrate flow into the city's water supply, and the Bakken pipeline controversy--can influence the 2016 election was on the Aljazeera America website on 6/16. Click the button below to read it. We've updated the Upcoming Events for Women in Ag page of Ma Joad with a couple of events organized by Women's Food and Agriculture Network. Their annual conference is in Davenport this year, November 6th and 7th. The conference is focusing on pollinators, and the topic couldn't be more timely. If you're interested in what women in ag are doing in Iowa, don't miss this conference. You will leave in awe of Iowa women and their practicing and promoting of sustainable agriculture! We've added a link to Peter Byck's Vimeo video, Soil Carbon Cowboys, to the Soil Health home page. This excellent video will show you how well depleted soils have come back and profits have improved for three ranchers in the US and Canada who implemented mob grazing and cover crop planting. A trip to Sonoma County, California, for a soils tour has inspired Cedar Basin to begin offering our soil mapping and testing services to Midwestern vineyards. On the tour, we learned a lot about terroir (the environmental conditions, especially soil and climate, in which grapes are grown and that give a wine its unique flavor and aroma), and just how important soil health and understanding of soil type and condition are to growing grapes for wine. The Trimble Soil Information System, for which Cedar Basin is now a regional service provider, can be particularly helpful to winegrowers. In the menu to the left, you will now find a page named Terroir right under Trimble SIS. If you or someone you know is growing grapes to produce wine, we hope the information there will be helpful. Please contact us if you'd like to discuss our terrior services. Electrical conductivity (EC) mapping is getting a lot of attention these days, and Cedar Basin uses the EM38 to do the mapping, which enables us to present a more detailed soil profile and nutrient plan. We've added an EC subpage to Our Services. An interesting article from Craftsmanship has been added to the Soil and Climate page in Soil Health Information. Learn what one small California farmer is doing to reduce water usage and build soils, along with the questions his practices raise. Just how much are we changing our tillage practices for the better? That's open for debate. How much snirt have you been seeing this year? And why is Ray Archuleta sounding the alarm on a new Dustbowl? To get us all looking at the varying viewpoints, we've added some new information to the Rethinking Tillage subpage of the Soil Health Primer in Soil Health Information. Farmers Business Network has a newly revamped website, so we've revamped our page about them. You'll find an introductory/demo video there, as well as a link to their website. 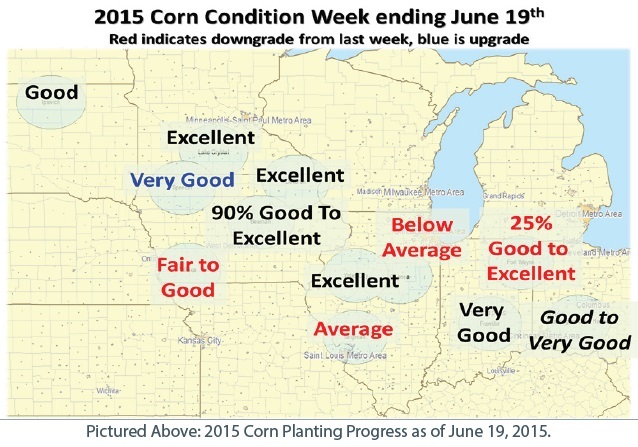 We believe FBN is going to be a valuable new tool for farmers, and encourage you to take a look at what they offer. The Upcoming Events subpage of the Women Farmers page in Ma Joad has been updated with a few more summer events. Information on the Gulf Restoration Network has been added to the Gulf of Mexico Hypoxic Zone page. One of the YouTube videos includes some words from Matt Rota, with whom we met in New Orleans last month, and Susan Heathcote of Iowa Environmental Council. We've added information on increased algae growth in Iowa waters, and how critical farmer partnerships are to ensuring clean water in Iowa, to the Soil Health = Water Quality page. New--and really beautiful--photos have been added to "Is this heaven?". Where we were able to, we've put links to the photographers and their work. Just click on the photo. (August 18, 2014) ISU's Professor Cathy Kling, along with Drs. Eugene Turner and Nancy Rabalais, discuss the Gulf of Mexico's dead zone on WWNO. A link to the archived discussion has been added to our Gulf of Mexico Hypoxic Zone page. There's also a link to the Mississippi River Gulf of Mexico Watershed Nutrient Task Force, Co-Chair of which is Iowa's Bill Northey. The USDA hosted a webinar on the Cornell Soil Health Test on 21 January 2015. We've added the link to our CSHT page so you can watch the webinar at your convenience. The Upcoming Events for Women in Ag subpage Ma Joad's Women Farmers page has been updated with some upcoming classes and events. While the news in the article by Civil Eats (the link is on our Hypoxic Zone page) looks like it's in Iowa farmers' favor, it is most definitely not in the best interest of the planet's--or those making their living fishing in Gulf waters--future. "USDA Secretary Vilsack believes it will take 5-10 years before major upstream nutrient loader – Iowa – measurably stems its farm pollution through voluntary conservation. Can the Gulf fishery withstand 5-10 more years of the same?" Iowa farmers and other ag professionals need to demonstrate to the world we are willing to take it upon ourselves to effect change because it is the right thing to do. Shannon's promotion of Adapt-N is the subject of an article in Ag Professional this month. Find it on the Adapt-N page. The CBCC newsletter is now a subpage under About Us. The winter edition is now available. Fred Magdoff and Harold van Es's excellent book, Building Soils for Better Crops, Sustainable Soil Management, is now on the Soil Health Publications page in its entirety. The flyer and RSVP form for the Cedar Basin Annual Meeting on 26 February has been added to the Upcoming Events page. We (Shannon and Robin) just returned from a trip to Louisiana where we had the honor of meeting two MacArthur Fellows who have devoted their professional (and personal) lives to protecting the Gulf of Mexico. In New Iberia, we met with Wilma Subra, President of Subra Company, an environmental consulting firm dedicated to protecting Gulf and bayou inhabitants and waters. In Baton Rouge, we met with Dr. Nancy Rabalais, an expert on hypoxic zones who strives to educate us all on the issues that threaten the Gulf. We were fortunate to be joined by her husband, Dr. Eugene Turner, who, among many other things, monitors the nutrient levels in the Mississippi as it passes by Baton Rouge. We also met with Matt Rota, of the Gulf Restoration Network, in New Orleans. We'll give you the details on the trip in the upcoming winter edition of the newsletter. In the meantime, we ask you to give some thought to participating in Farmers and Fisherman: No Gulf Between Us, a project Cedar Basin is developing to increase understanding on both ends of the Mississippi. The project will facilitate learning what's at stake for all involved, how we can work together to everyone's benefit, and what we can all do to alleviate the dead zone in the Gulf while continuing to provide a livelihood for our families and food for the world. Exchanges like this have happened in the past (see the YouTube video on our Gulf of Mexico Hypoxic Zone page), but we are hoping to develop an engaging, ongoing "sister city" kind of relationship between Iowa farmers and Louisiana fisherman. Our intention is to have visits to the Gulf and the bayous (and New Orleans, of course! ), as well as to Iowa farms, and to establish a friendly, empathetic and, ideally, lasting relationship between participants. After all, the world has gotten too small to consider even one drop "your water" or "my water"; it's all "Our water" now--with the big O--so we'd better get busy keeping it safe for every living thing that depends upon it. We'll fill you in as things progress. Information about edge of field bioreactors and saturated buffer zones has been added to the Gulf of Mexico Hypoxic Zone page. These technologies are quite promising solutions to nitrate loss--the nitrates that are running through our waterways and down to the Gulf of Mexico. We have been in contact with a number of Louisiana folks who are working on the hypoxic zone issue. Be sure to watch this site and our Facebook page to see updates on Cedar Basin's exploration of a joint project between Iowa farmers and Gulf fisherman to build understanding of the practices and concerns--agricultural, marine, economic and ecological--on both ends of the river. Happy New Year! We at Cedar Basin are wishing all of you all the best for 2015. Cedarbasin.com is still in its first year--and still undergoing some growing pains. We're trying to keep it manageable as we continue to add more information. If you're not finding it user-friendly, please let us know! The Soil Health Information page has been broken down into a basics subpage where you can access specific topics. A number of current-issue subpages are under the Soil Health Information main page, as well. The main Ma Joad page now has some inspiring videos about veterans turning to farming as a new way to serve their country. If you know any veterans who are trying to find a place for themselves in civilian life, please direct them to Ma Joad for info on how some of their fellow veterans are learning to farm and finding it very therapeutic and rewarding. We are still working on transferring all client records from .net to .com. Please bear with us. We'll let you know when you can use the new links. You may have noticed our menu is tidied up a bit. Don't worry, all the information--and more--is still there! Some of the pages have become subpages, so you'll have to place your pointer over the menu to find specific information about a subject. Also, Ma Joad has been expanded. While Ma Joad's emphasis is still on women in agriculture, the veteran page no longer centers on just female vets. There are many resources out there for veterans interested in farming, and we want to share that information with as many as possible. We've included some links to articles about veterans turning to farming to help them readjust to nonmilitary life and to deal with the psychological strain of combat experience. We're also in the process of developing a Ma Joad subpage for beginning farmers. So many of the country's farmers are reaching retirement age that inspiring others to take up the profession is becoming a vitally important undertaking. Until further notice, you can ignore the login button at the bottom of the menu. It will take some time for us to transfer all the files from cedarbasin.net to cedarbasin.com, so for now, continue to access your file through the Confidential Client Files page. And, as always, if you see something you think would be of interest to other folks in agriculture, please pass it on to us! A number of new links have been added to Ma Joad, on both the veterans and links pages. Information on how to register for the annual MOSES Organic Farming Conference has been added to Ma Joad's upcoming events page. We've done a lot of updating on Ma Joad, including separate pages for upcoming events, women in ag links, book suggestions, and farmer veteran women. On Farmer Veteran Women, you'll find a link to an amazing documentary, Terra Firma: A Film About Women, War and Healing. The link will tell you how to arrange a screening of this amazing story of how farming has helped three remarkable women veterans--including Cedar Rapids' Sonia Kendrick, Founder of Feed Iowa First, AS Science, BS of Agronomy, and Veteran of Operation Enduring Freedom--reclaim their lives. Additionally, the Ma Joad home page has new YouTube videos about women farmers around the world. You can now learn about the Cornell Soil Health Test (CSHT) in our Soil Health Information section. You'll find a YouTube video explaining how the assessment works, as well as a copy of an actual Iowa CSHT assessment. There's a link to the Cornell Soil Health Assessment Training Manual at the bottom of the page. Ma Joad now has at the bottom a section on books by, about, and for women in agriculture. We'll try to keep the book list up-to-date and relevant. If you have any suggestions of books to add, please send them our way on the Contact Us page. If you'd like to discuss what you've read, that's what the forum page is there for! Just contact us for the password. We've added a link to the exact page where each book can be ordered through Dragonfly Books, a Decorah bookstore owned by Kate Rattenborg. Dragonfly Books is an excellent, smart, small, independent bookstore and we thought it appropriate to add just such a link to the Ma Joad page! A link to an interesting Iowa Public Radio interview with Kristen Ohlson, author of The Soil Will Save Us: How Scientists, Farmers, and Foodies Are Healing the Soil to Save the Planet, has been added to the Soil and Climate/Year of Soils 2015 page. We've included a link where you can purchase the book from a small, independent Iowa bookstore. Information on another important book about soil, dirt: The Erosion of Civilizations, has been added to the main Soil Health Information page, as has the link to the same bookstore, should it spark your interest. On 24 April 2013 at the 146 FAO Council, FAO member Countries endorsed the request from the Kingdom of Thailand in the framework of the GSP for the proclamation of the ﻿International Year of Soils 2015﻿. The IYS will serve as a platform for raising awareness on the importance of sustainable soil management as the basis for food systems, fuel and fibre production, essential ecosystem functions and better adaptation to climate change for present and future generations. Find information and links on our Soil and Climate page. Ma Joad now has a section called Women in Agriculture: Stories from Around the World. This section will consist mainly of links to YouTube videos that show us how women are involved in agriculture from the U.S. to Indonesia to Kenya to . . .
A YouTube link to the 3-part interview Lynn Betts did with Cornell University's Dr. Harold van Es, Adapt-N: Hitting the Nitrogen Sweet Spot, has been added to the Adapt-N page. In the interview, Dr. van Es answers the most common questions about Adapt-N.
We've added a page to highlight issues and resources specific to women who farm or are in agriculture in another capacity. In honor of arguably the most iconic of farm--or any--women in the history of literature, the page has been named Ma Joad. In his novel, The Grapes of Wrath, John Steinbeck created a remarkable farm woman with an unyielding determination to preserve her family in the face of the Dust Bowl, crushing poverty, a lost farm, a long, hazardous journey, and prejudice. What woman wouldn't hope there's at least a little bit of Ma Joad in her? Another reference to Walmart's promotion of the use of Adapt-N has been added to the Adapt-N page. Look above! Two clicks and, boom, the site has a search feature! Who'd have thought it would be that easy...? An email from Dr. van Es has been added to the Adapt-N page. He provides the info you need to find a segment in a video showing how Adapt-N is being incorporated into Walmart's sustainability efforts. In a brief presentation, NE Iowa farmer Tim Richter explains how it's helping his operation. Still have doubts about climate change/global warming? The Pentagon certainly doesn't. Go to the Soil and Climate page for links to the latest on the topic from the military perspective. A link to a Cornell paper showing the role Adapt-N can play in mitigating climate change has been added to the Soil and Climate and Adapt-N pages. Iowa Climate Statement 2013: A Rising Challenge to Iowa Agriculture is endorsed by over 150 distinguished Iowa scientists. Go to the Soil and Climate page to read the statement. Cedar Basin's newsletter, The New Iowa Times, has been updated for autumn. The button below will take you to Shannon's LinkedIn profile. Cedar Basin Crop Consulting now has a Facebook page! You can friend us, and you'll be quickly notified of the latest news and changes to cedarbasin.com. The link below will take you to our Facebook page. We've added a Forum page to the bottom of our menu. This page gives you the opportunity to communicate with your fellow farmers about all things farming. The button below will take you to Contact Us to request the Forum password. Cedar Basin is hosting a day with Dr. Harold van Es, of Cornell University, and Amol Deshpande and Charles Baron, of Farmers Business Network, on August 8th. See the invitation at the link below. Remember, if you're interested in attending, you must RSVP by August 4th. There is an RSVP option at the bottom of the invitation. The link below will take you to the same client list you're used to accessing. The link to Frontier Labs has been postponed, as we've determined this is a more straightforward process of getting to your information. Go to the Cover Crops and Biodiversity page for a new link to the Sustainable Agriculture Research and Education (SARE) Learning Center cover crop page. A link to a The Gazette opinion piece on the INRS (and follow-up comments on that piece) has been added to that page. A link to Soil Investigative Services, Shannon's soil investigation partnership with Frank Moore, has been added to the Ag Links page. A demonstration of the Cornell Infiltrometer has been added to the Infiltration page in Soil Health Information. Cedar Basin Crop Consulting uses this test. A clear explanation of Adapt-N's benefits has been added to the Adapt-N page. We've also added a link to the May 2013 Corn and Soybean Digest article about Adapt-N field trials run by Cedar Basin's Shannon Gomes and his colleagues. A Pennsylvania farmer and Mother Nature provide a compelling demonstration of how healthy soil affects water quality on the Soil Health = Water Quality page. How do an Iowa farmer's practices affect an area lake's water quality and the Gulf of Mexico? And what can be done about it? Check out the new YouTube links on the Soil Health = Water Quality page. The Iowa Nutrient Reduction Strategy is appreciated at the other end of the Mississippi. An enlightening YouTube explanation has been added to the INRS page. Is history repeating itself? A YouTube link to an introduction to Ken Burns's excellent PBS documentary is in the newsletter, as is a New York Times discussion on preventing another dust bowl. Our sub page, Cover Crops, has been revised to Cover Crops and Biodiversity, and has been moved to a new page. They're both a part of soil health, but we felt the growing realization of their vital role in all of the issues CBCC addresses makes them worthy of a page of their own!